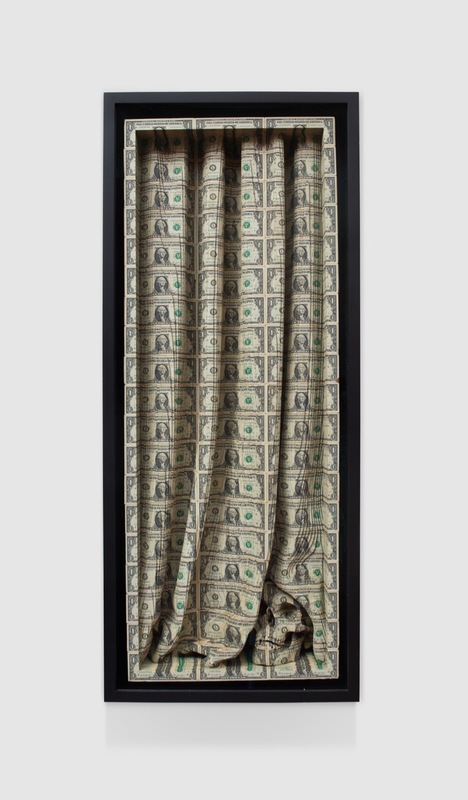 On December 14th, Over The Influence in Hong Kong will be opening their first show with Scott Campbell entitled Using All The Freedoms We Have. 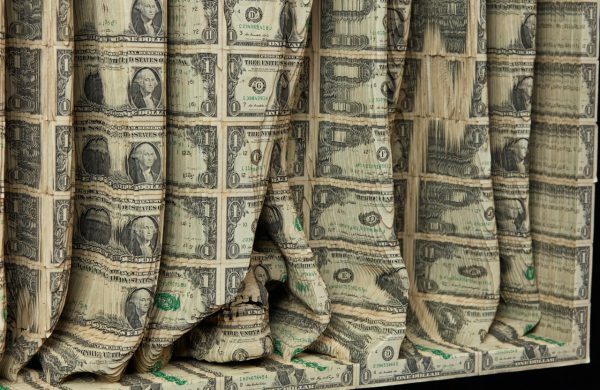 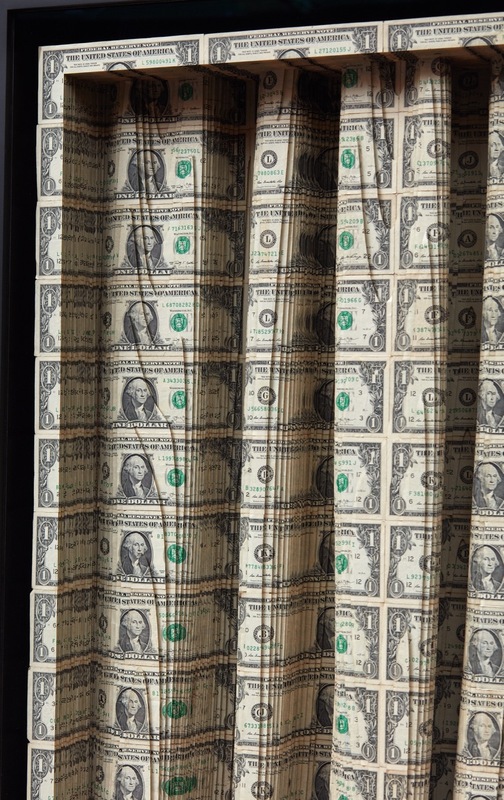 For this exhibition, the verstaile Los Angeles-based artist will be putting on display one of his most well known series of works – created from American currency. 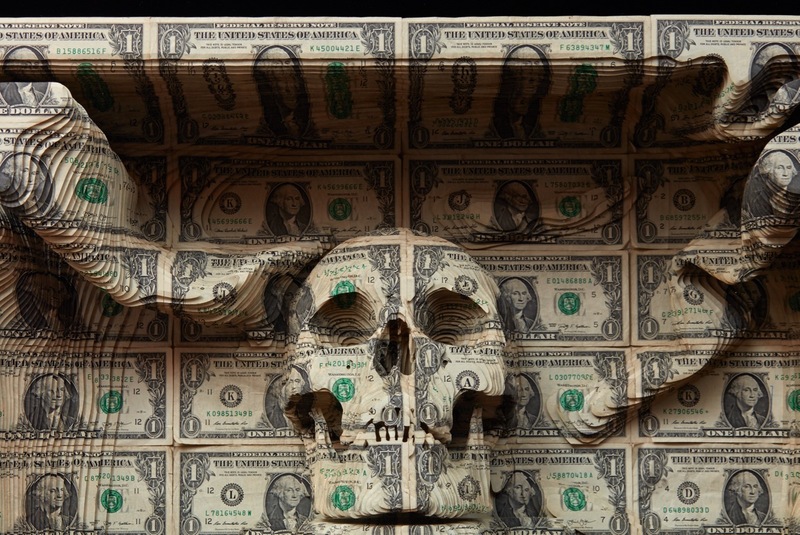 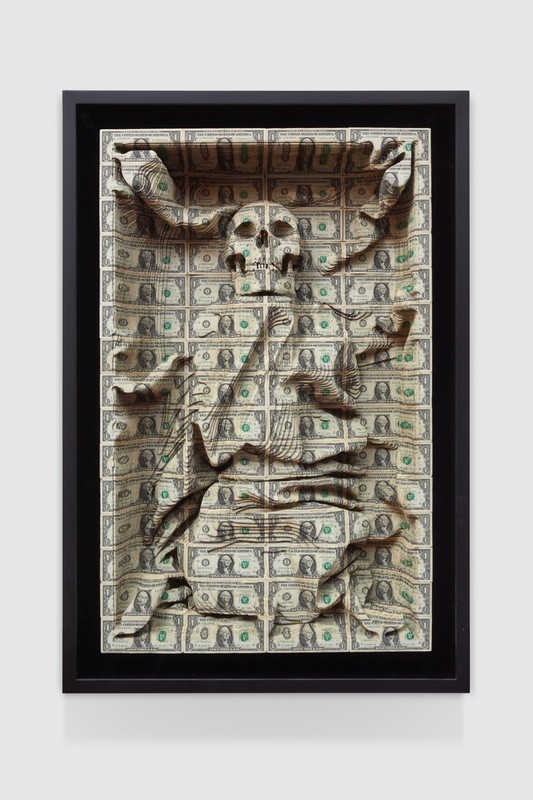 Exploring the intersection of art and commerce in a direct way that question the ephemerality of wealth, Campbell’s dimensional pieces oftentimes features symbols of death such as skulls laser cut into sheets of money. 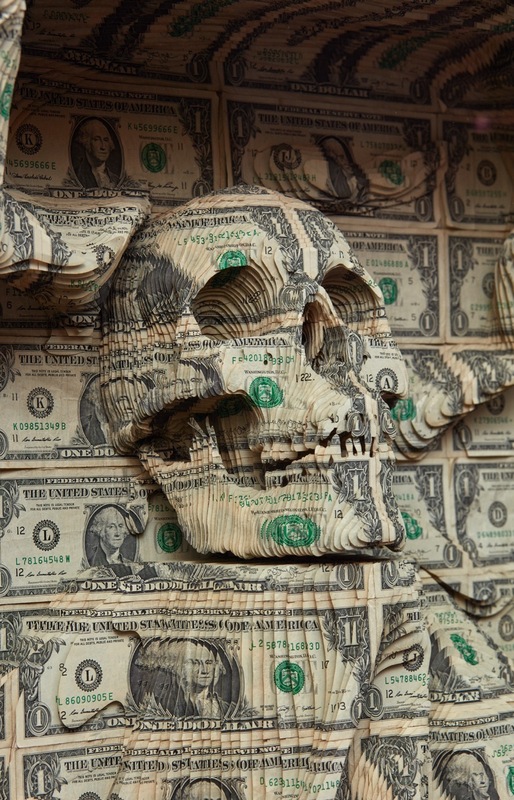 Rounding out his debut showing in HK will be long vertical tattooed pig skins, a spin off from his skills as a tattoo artist. 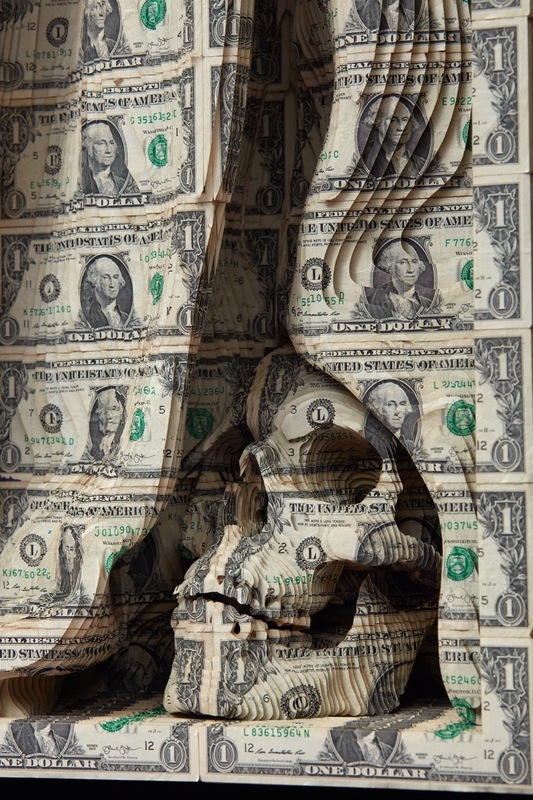 Categories: Contemporary Art, Low Brow & Pop Surrealism, Releases, Sculpture, Shows & Events, Videos. 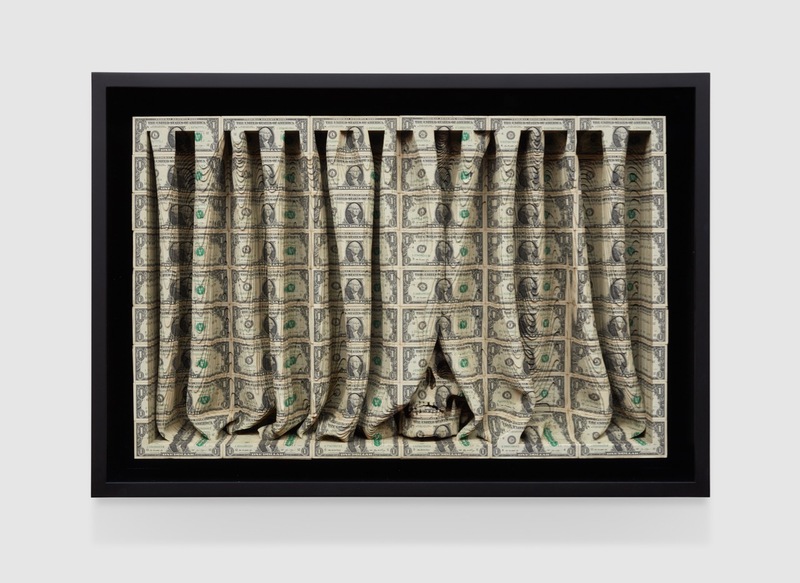 Tags: Contemporary Art, Hong Kong, Low Brow & Pop Surrealism, Scott Campbell, Sculpture, Shows & Events, slider-featured.